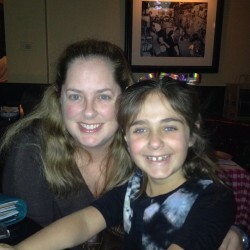 I'm a huge fan of Tiffany Reisz. Her Original Sinners series remains one of my favorite series ever. I was excited to get a new book from Ms. Reisz and couldn't wait to read The Bourbon Thief. While The Bourbon Thief is completely different from the Original Sinners books, readers still get to enjoy the voice they've come to know and love from Ms. Reisz. I'll be honest and say I don't read many books classified as Women's Fiction any longer. However, when one of your favorite authors puts out a book in that genre, you read the book. The Bourbon Thief was a really good book, though it was a tough read at times. I loved Tamara Maddox from the moment we met her and adored Levi Shelby as well. 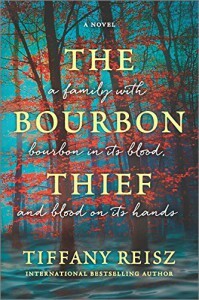 Part of what I loved about the story was Paris telling the history of the Maddox family to Cooper McQueen as she was stealing a million-dollar bottle of bourbon. I felt shades of Nora sharing her stories in the Original Sinners books as Paris shared the past with Cooper. I'm not a huge fan of bourbon, but loved learning about the history and the process it took to make bourbon. There are many dark parts to The Bourbon Thief and I'll admit I had to put the book down once or twice because it was pretty tough to read. Ms. Reisz brought the bourbon world to life in this book and I'm glad I read the story. While it isn't my favorite book from Ms. Reisz, it was a very well written story, and I did find myself being pulled in from the beginning.